Welcome to MOLLY MAID of Playa Vista! We are a locally owned and operated professional cleaning company. For over a decade we’ve offered Culver City house cleaning, apartment cleaning, and move-in/move-out cleaning to homeowners in Culver City, Marina del Rey, El Segundo, Santa Monica, Hollywood, Beverly Hills, and the surrounding areas of West Los Angeles. Customers choose us for top-quality services because Molly Maid is an established, trustworthy name. Our employees carry workers’ compensation for your protection and peace of mind. No contract is required for our house cleaning services. Our housekeepers will always arrive at your home in a Molly Maid company vehicle, dressed in uniform with all the supplies and equipment needed to give your home a professional cleaning. From mopping hardwood floors to leaving your bathroom mirrors with a streak-free shine, our professional maid service guarantees your satisfaction every time we clean your home. We’re proud to serve the west side of Los Angeles and neighboring communities with their home cleaning needs and feel it’s important to show our thanks by serving the community with more than just house cleaning. 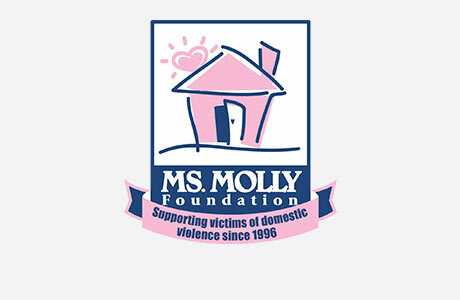 We are proud supporters of domestic violence intervention programs at both the national and local level, the Ms. Molly Foundation and the Jenesse Center, respectively. Also, our office is certified by the DOT (U.S. Department of Transportation) as a DBE (Disadvantaged Business Enterprise) CUCP# 43177. If you still have questions about hiring a professional cleaning company for your Playa Vista home, take a look at some of the most frequently asked questions regarding our maid service. Yes, we can use green cleaning products upon request. You may also provide your own specialty products as long as you let our team know and leave them out for us when we arrive. Will I have the same cleaning people each visit? Yes. You will be assigned a specific cleaning crew but will have the option of a substitute crew in the rare case that both of your regular cleaners are absent. Do I need to be at home during the service? It is not necessary that you be at home during a recurring cleaning service but you don't have to leave either. Please feel free to choose whichever option is more convenient for you. We have been cleaning houses and apartments in the local and surrounding West LA area for 10 years. Our Molly Maid team is proud to offer Playa Vista house cleaning services you can trust.